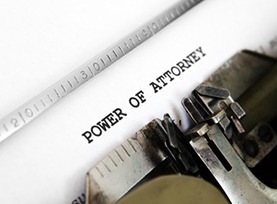 A Lasting Power of Attorney is a legal document which is signed in order to allow another person, chosen by you, the responsibility to make certain decisions on your behalf. There are two types of Lasting Powers of Attorney (LPA): Health and Welfare; and Property and Financial Affairs. This individual must be someone you must trust and hold in extremely high regard as they may be in control of life-sustaining treatment if you so choose. At Bloomsbury Law, we will provide you with solid Lasting Power of Attorney Guidance and help you through the process of choosing an attorney, filling in the forms and registering them with the Office of Public Guardian. We also understand that this may be a difficult decision altogether. We will discuss any concerns that you may have and provide you with advice accordingly once we are instructed.